It only takes one hurricane for victims to see how quickly their lives can change. 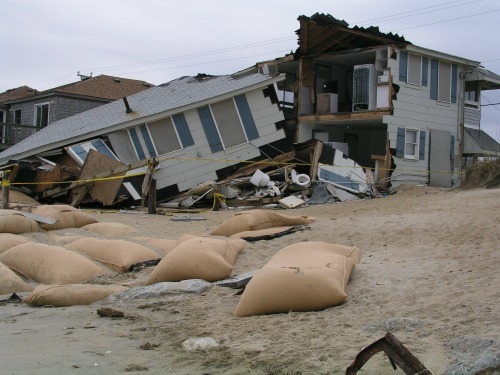 The time to prepare for this natural disaster is now and this primer will help get you started. Also, sign up for our hurricane preparedness giveaway! Over 80% of people on this planet live within 100 miles of a coastline. Despite attempts at getting the population better prepared, according to FEMA, only 40% of the U.S. population actively prepares. It only takes one hurricane for victims to see how quickly their lives can change. Hurricanes are nightmarish in terms of the damage they cause and have the capacity to level homes, flood neighborhoods and cause massive amounts of damage to communities. Those that choose the unpreparedness route gamble with the chance of going head to head with severe flooding, tornadoes, wind and storm damage and gamble with their families lives. This may sound alarmist, but it’s a fact. On a personal note, I have witnessed first hand how unprepared families flock to the stores for last-minute preparations and how grocery markets, super stores and home depots are quickly overwhelmed and supplies exhausted within hours of restocking. Inevitably, there will be people who walk away from these storms unprepared. Do you want to be a part of this statistic? The time to prepare for this natural disaster is now before any storms are on the horizon. Using this approach is also easier on the pocket-book and will help you prepare with a clear head rather than a panicked one. The best place to start is to find resources, checklists and advice from experienced professionals. Even asking friends and family what their personal stories of surviving hurricanes are can better prepare you. One of Ready Nutrition’s writers, Jeremiah Johnson wrote about his personal survival story about going through Hurricane Katrina. You can read his words here. 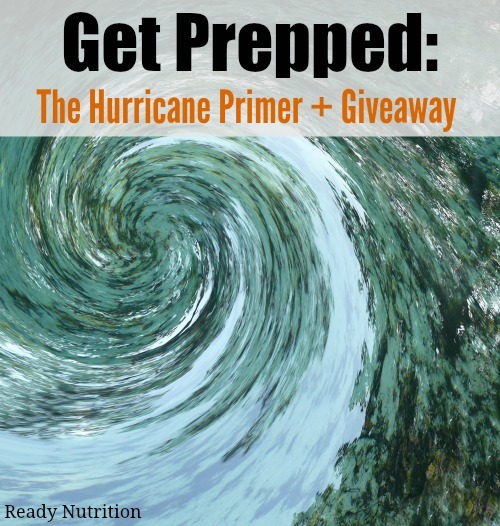 Make sure you sign up for the Hurricane Preparedness Giveaway below! These are essentials you need to prepare for and understand how devastating these types of disasters are. Ultimately, you are the only one who can best care for your family. Having a stash of your family’s favorite canned or dry goods, a supply of water and a simple medical kit can maintain your basic needs for a short-lived disaster. This simple preparedness supply could set you apart from the unprepared. Water – 1 gallon per person/per day for consuming only. Plan more for sanitary needs.